This is a request from katherine, she wants to open and delete a folder but it says "Access is denied". When you try to open a folder and files in Microsoft Windows Vista/XP, you may receive the following error message, "Access is denied." Usually in Windows Vista, you may encounter this in opening "UserName" folder > My Documents, My Videos, My Pictures and My Music folder. Also you will notice that they are displayed as a semi-transparent icon with a shortcut symbol. These are called NTFS Junction point. Windows Vista uses them to maintain backward naming compatibility and redirect programs that accesses these folders. 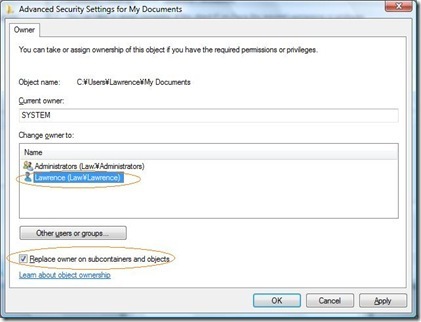 The solution is taking the ownership of system files or folders that you want to open or modify. The same situation in deleting files that has been created by another user. 2. 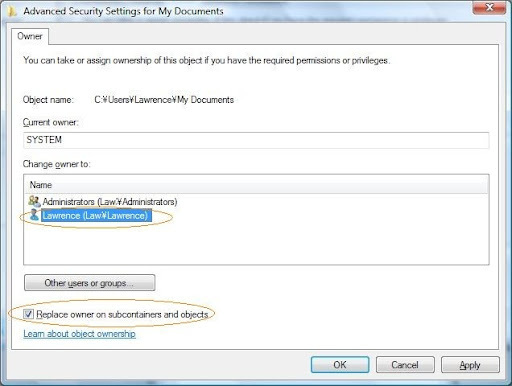 Select your Username and click the checkbox option->Apply. 3. Click Yes. You can now open the folder. 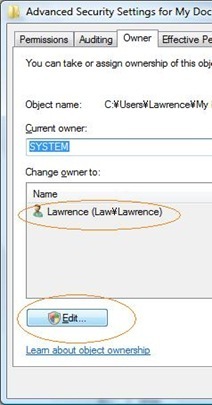 Note: You can use this procedure in Windows XP. 1. 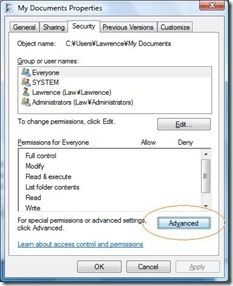 Download and use WinBubble to Add "Take Ownership of this folder" feature in Windows Explorer's Context Menu. 2. 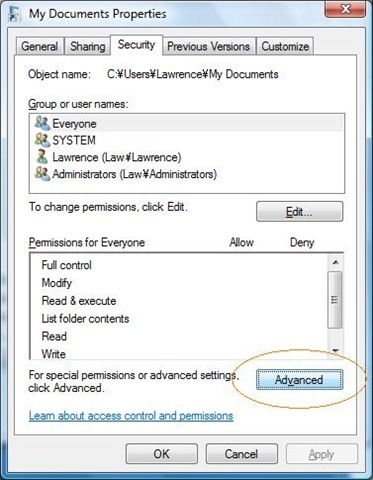 To Unlock Files, use WinBubble to Add "Take Ownership of this file" feature in Windows Explorer's Right-Click Menu.